I remember when I first picked up a copy of Real Simple magazine and found their section on new uses of old, everyday things. I felt like I was in reader heaven. I love easy life hacks for everyday problems and finding new ways to reuse stuff! Even if I have absolutely no plan on using a piece of a pool noodle as a blade guard for a saw, I still think it’s really cool to look at clever ways we can repurpose things that we have just lying around. Life hacks can also become addictive because who doesn’t want to know more tips and tricks to make life easier?! In our hectic world with endless to-do lists and priorities to juggle, easy life hacks for everyday problems come in quite handy. Test if a battery is good by dropping it on a table and seeing if it bounces. A dead battery will bounce; a good a battery will have a heavier landing and will fall over without bouncing. It totally works! It’s handy if you come across random batteries in a drawer and don’t know if they’re old or new. Use clear nail polish to stop buttons from becoming unthreaded. Super glue works well too. 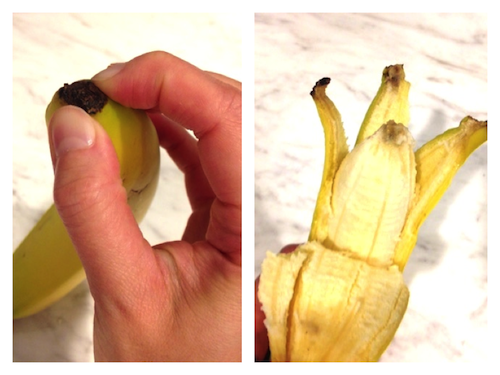 Pinch open a banana from the bottom instead of trying to break open the stem end. No more squishy mess, yes! Put newspaper or old papers at the bottom of the kitchen garbage to absorb leaks and keep drips off your floor when you take the trash out. Easy and a goodie. Clean your keyboard with post-it notes and q-tips to pick up crumbs, dust, and other gunk. It’s also a good way to kill some time if you get really bored at work. 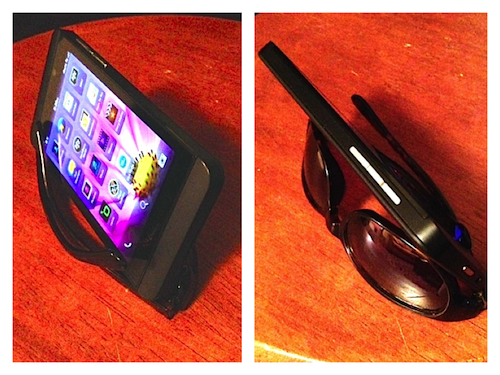 Rest your phone on the back of your sunglasses to watch videos. I’ve been using this trick lately to watch Netflix episodes on my phone while I’m working on my laptop. Loosen your pants by looping a rubber band through the button hole of your pants on one end and hooking it around the button on the other when your pants get too tight. Cover up your collar bones if you feel a chill. This helps if you don’t feel like putting on another layer but want to warm up a bit. There’s something about air hitting bare collar bones that can make you feel a chill. 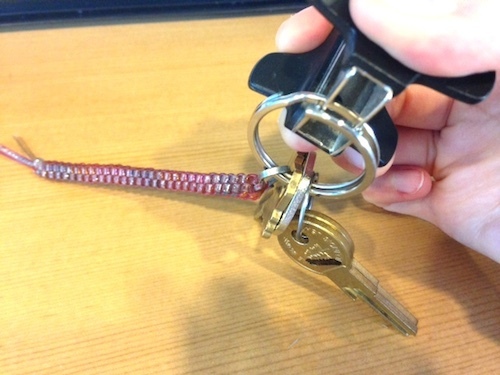 Save your fingers from getting pinched and hold a keyring open with a stapler remover when you need to add or remove keys. Now I finally get some good use out my stapler remover, which was previously just collecting dust. Charge your phone faster in airplane mode if you’re in a pinch. These days I keep my phone plugged in whenever I’m at my desk b/c the battery just doesn’t last. Have a stubborn drawer or closet door that is hard to open? Rub a candle on the rails and edges to help drawers and sliding wood doors open easier. If that doesn’t help you can try sandpaper next if the edges need to be shaved down. Fall asleep faster by lowering the temperature, using blackout curtains, and meditating before bed. I always have trouble sleeping when it’s hot and if there’s some light passing through the curtains, but pass out like a champ when it’s cold and dark. Travel in luxury on a budget with lots of travel hacks from Unconventional Guide’s latest product, Upgrade Unlocked. Freeze grapes and use them like ice cubes. This doesn’t water down your drinks and then you can eat them after they defrost. If you have sensitive ears or a metal allergy, coat clear nail polish on the backs of earrings to prevent skin irritation. Use a walnut to remove scratches on wood floors or furniture. I’ve used brown markers before, but will try the walnut trick the next time I buy some. Hold nails in place with a clothespin so you don’t bang your fingers by accident with the hammer. Why didn’t I think of this before?! Stick a paperclip to the end of a roll of tape to avoid searching for the end of a tape roll. This one will come in handy if you have to do a lot of gift wrapping or packing. Short on outlets at your hotel? Check if the TV has a USB port in the back you can use to charge your phone. Most new TVs have a port on the back or along the side. Can’t keep your keys straight? Paint on different colored nail polish to the handles to differentiate your keys from each other. Stickers work okay as a temporary fix but they tend to fall off easily. Skip the Drano. Pour 1/2 cup each of baking soda and vinegar down a clogged drain, let it foam, and rinse after the bubbles die down. Stuff ribbons or power cords into empty toilet paper rolls to keep drawers and boxes organized. Squeeze lemons and limes between a pair of tongs to exert more force and save your fingers from getting sticky. Wrap a large rubber band across the open top of a paint can and use it to wipe off excess paint from your brush when you’re painting. This keeps the paint drips inside the can and not down the sides and onto the floor. Hide some extra cash inside an empty ChapStick container when you travel to make it hard for someone to find and easy for you to tuck away. 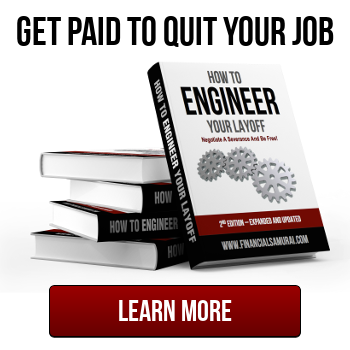 * Never Quit, Get Laid Off Instead – Learn how to negotiate a great severance for yourself in How to Engineer Your Layoff! By getting laid off from a job you wanted to leave anyway, you can collect a severance, health care insurance, deferred compensation, unused vacation days, and be eligible for unemployment. The book provides helpful case studies and a framework for you to have a strategic conversation with your manager on how to profitably quit your job. 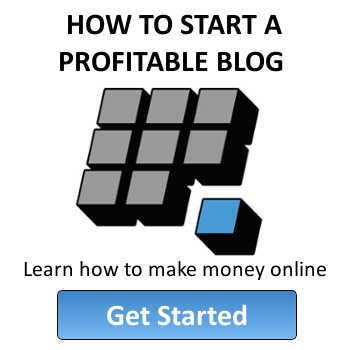 Get more details and download the ebook instantly here. Untemplaters, have you tried any of these 25 easy life hacks for everyday problems before? 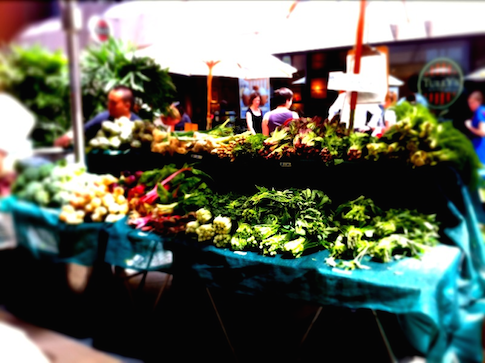 Do you have a favorite life hack or a new use for old things? Cool tips. My thoughts and experiences on a few: I can definitely say that the banana opening hack works. I’ve completely switched to opening bananas this way (it’s the way that monkeys open them, and you have to figure they’ve got more expertise than we do on the subject). As far as the newspapers and magazines, I’d advocate recycling as a first option 🙂 On the rubber band wrapped around the paint can, it sounds great but proved largely not useful when I tried. The paint brush tended to move the rubber band around and I ended up getting paint all over my fingers moving the rubber band back into place, largely defeating the purpose. There are a few others here I look forward to trying. Love the sunglasses and staple remover hacks! Me too! I use the sunglasses one a lot now and I love getting new use out of my stapler remover. As far as a clogged bathroom drain… an even better thing to do is to open it up and do a thorough cleaning. Usually you’ll find it’s just hair and other gunk in there. It’s really easy to do and there are plenty of YOUTUBE videos that show you how to go under your sink and get it done. Thanks Mike. I’ve learned a lot about fixing toilets and sinks on youtube that has come in super handy. I even learned how to remove and replace a p-trap last year! black out curtains help a lot. I got thick ones for my bedroom last year. They are expensive but they keep out light and act as insulation too. Just be aware that not all are created equal. The cheap ones are cheap for a reason and there are some labeled as black out that are way too thin to block light. The good ones are heavy too so you’ll want to make sure you have a strong enough curtain rod to support the weight. For itchy bug bits, I put nail polish remover on the bite and the itch goes away. You don’t need a paperclip to hold the end of tape. Just fold a small bit of the tape over so it sticks to itself. Cut that part off when you want to use more tape. Then you can either fold the (new) end over again or RE-USE the folded over bit you cut off by sticking the end of the tape to it. That’s true! I find it hard to re-use the folded part though.